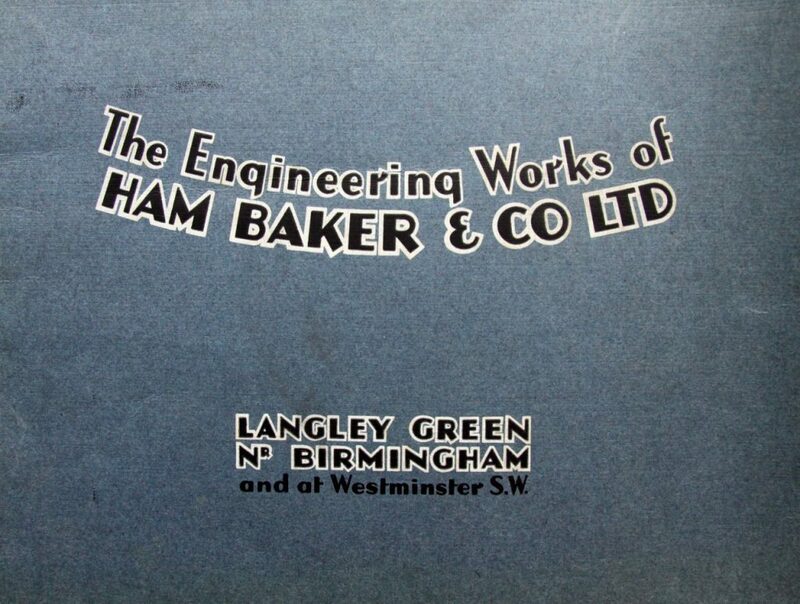 Ham, Baker & Co Ltd were general engineers and iron and brass founders. They were established in 1893. 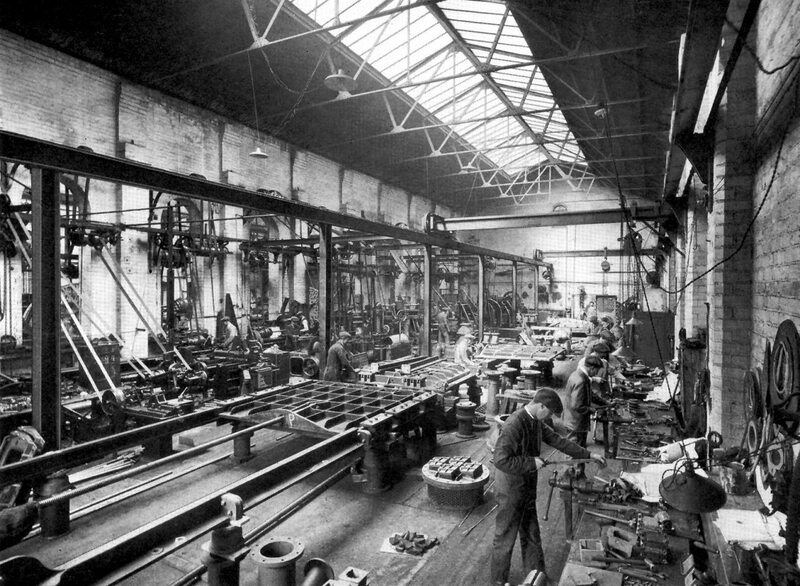 This factory was of a metal casting tradition which employed thousands of people locally for over a century. They were makers of penstocks, flap and sluice valves, and fittings for water suppliers and sewage disposal. 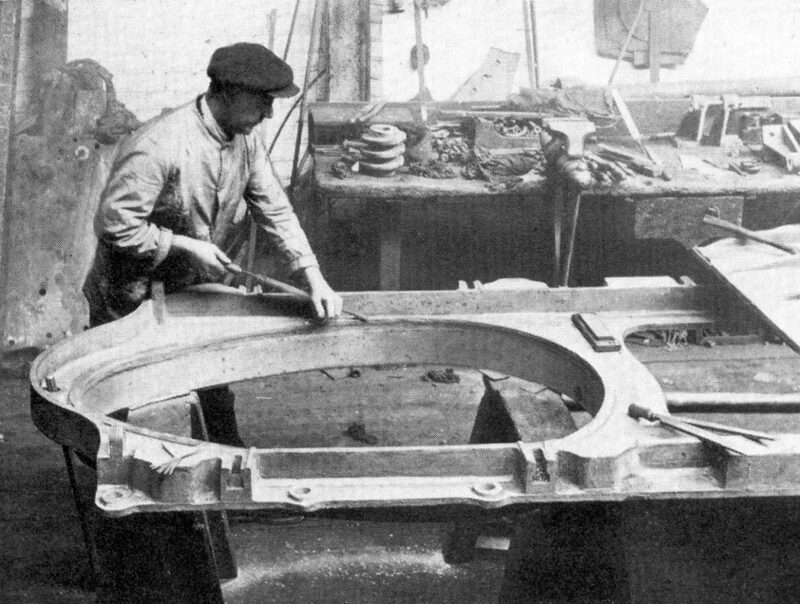 They also made cast iron drain covers, many of which can still be seen in the Black Country today. The company was acquired by Biwater Group in 1980 and demolished in 2000; the area is now a housing estate. Cover of 1930 Promotional Brochure. 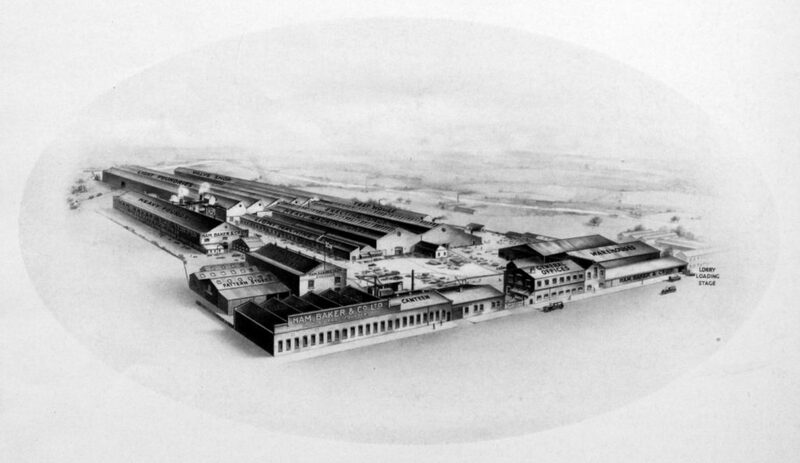 Artist representation of the factory site from 1930s. 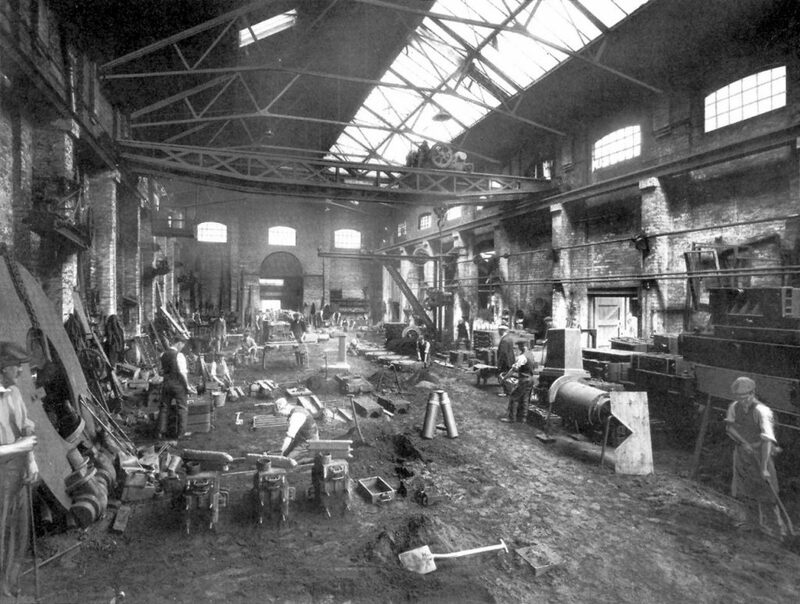 Ham Baker Heavy Foundry, circa 1930. 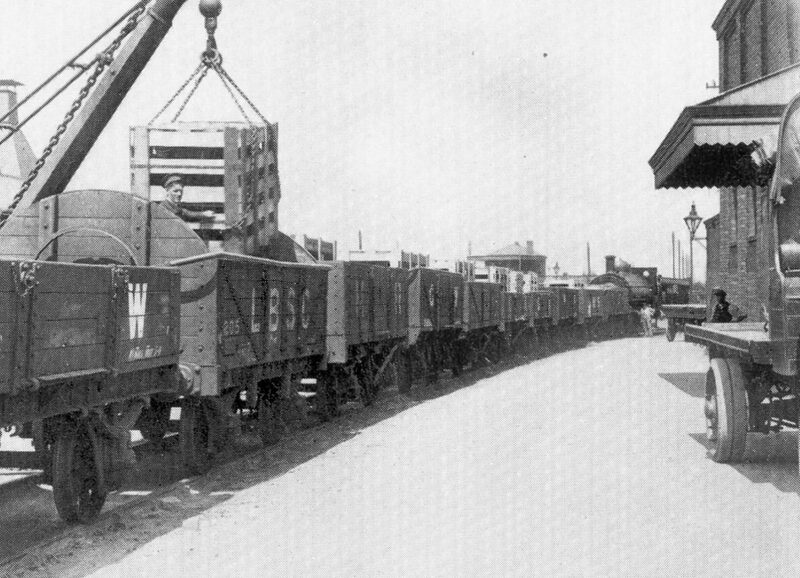 Langley Green Station, wagons carrying sluice gates for export the East. Photograph from Promotional Brochure, 1930. 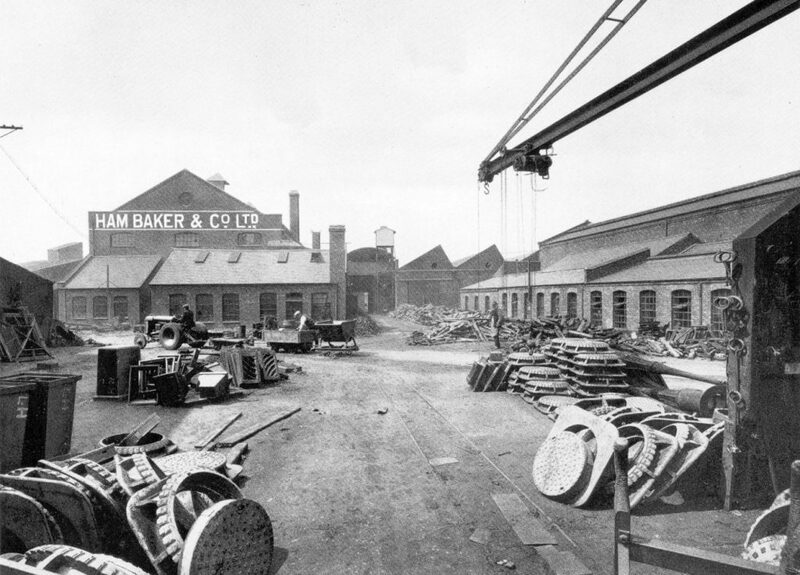 Stockyard at Ham Baker, 1930, showing heavy foundry on left, manhole covers and gratings. A light railway connected the yards.